This tour visits historical landmarks that are beautiful and culturally important. The tour visits ancient monasteries, and caves where monks meditate. The tour also visits the former palaces of the Dali Lama, a temple, a fortress, an outdoor bazaar, one of the largest sacred lakes in Tibet, and Everest Base Camp. Each site has its own story and many of the monasteries contain beautiful traditional works of art that capture the heritage and the time of their creation. 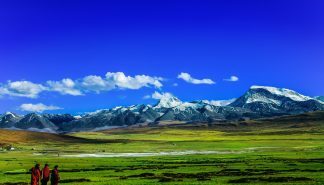 In addition to all of the amazing landmarks visited on the tour, the tour will also gain spectacular vantages of the Himalayas and the Tibetan landscape. 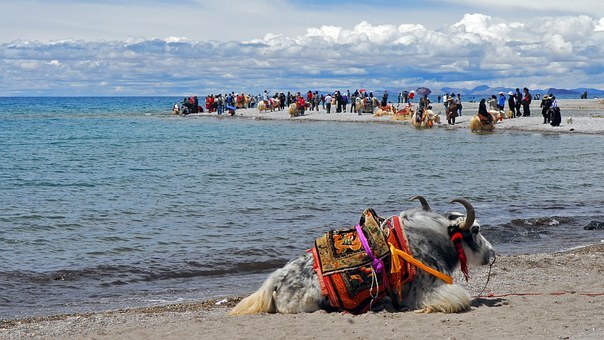 The Namtso Lake and Everest Base Camp Tour visits historical landmarks that are beautiful and culturally important. The tour visits ancient monasteries, and caves where monks meditate. 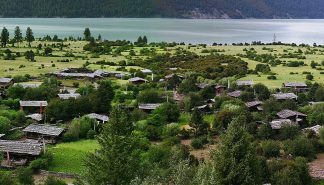 The tour also visits the former palaces of the Dali Lama, a temple, a fortress, an outdoor bazaar, one of the largest sacred lakes in Tibet, and Everest’s North Base Camp. Each site has its own story and many of the monasteries contain beautiful traditional works of art that capture the heritage and the time of their creation. In addition to all of the amazing landmarks visited on the tour, you will also gain spectacular vantages of the Himalayas and the Tibetan landscape. To see more pictures and read about Namtso Lak visit our blog here. The Kangshung face trek is uniquely surreal because of its beauty and desolation. This trek to Kangshung base camp follows the road less traveled. Before the trek begins, an introductory tour is given in Lhasa, and continues to Zhangmu. 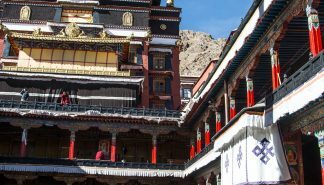 The tour covers rich and historical sites such as the Potala and Norbulingka Palaces, a traditional hospital, an outdoor bazaar, Sera, and Drepung Monasteries, and Jokhang Temple. The trek begins when the tour reaches Kharta. From Kharta, the trail follows the Kharta River and provides amazing views of local villages and terraced fields. After a while the trail turns into rhododendron, and conifer forests. Soon though the forests give way to moraines and the trail continues to Jorpokhari Lake. 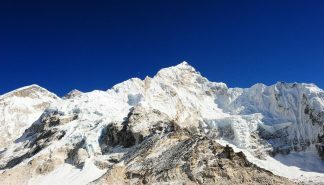 The next day of the trek provides mesmerizing views of the Himalayas including Mt. Everest, Mt. 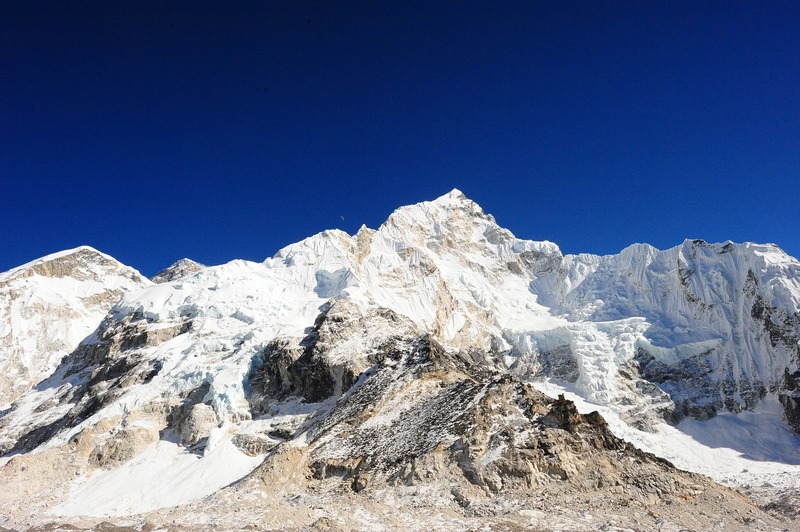 Cho Oyu, Mt. 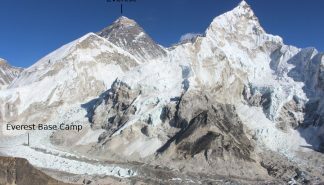 Makalu and others. The trail continues to bob in and out of forests and until it reaches Kangshun Base Camp. 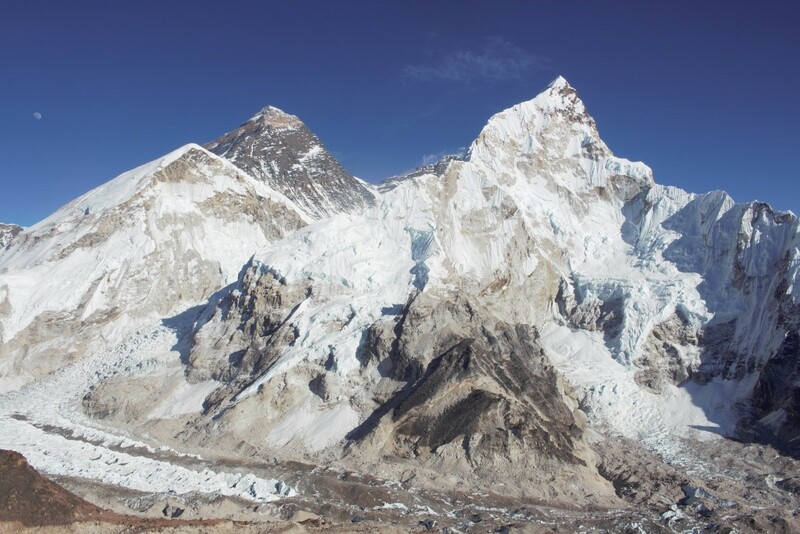 The trail wraps around, passing yak camps, alpine meadows, and rocky outcrops till it reaches North Base Camp. As the trek comes to an end, the tour begins again with a tour to Ronbuk Monastery then back to Lhasa. Mt. Kailash and Lake Mansarovar have deep roots in Hindu mythology and are believed to be sacred. The clockwise circumambulation of Mt. Kailash’s 32 mile circumference is believed to bring purity into one’s life and is a destination for many Hindus on pilgrimage. The trip begins in the capital of Tibet, Lhasa. Two days are spent in Lhasa for adjustment and for a tour of the city. 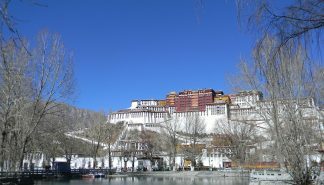 The tour includes visits to cultural heritage sites such as Potala and Norbulingka Palaces, and the monasteries of the area. The tour then travels westward to Saga then Lake Mansarovar, where the tour has the option to go for a swim. The following day the tour circumambulates the lake by a private jeep or bus. The next day the trek starts. The trek follows the Ganges River and around Mt. Kailash. On the 2nd day of the trek, the tour crosses the Dolma La Pass and arrives at the cave of miracles, Zuthal Puk. The trek ends on the 3rd day and the tour continues to Saga and then back to Lhasa. The western Tibet tour is an all encompassing tour package filled with day hikes, cave explorations, visits to heritage sites, monasteries, palaces, and fortresses, and much more. The trip transects Tibet from the east to the west and invites the vast Tibetan landscape to be viewed. The scenery includes the ever-present and magnificent Himalayan mountain range, forests, lakes, deserts, caves, and the Tibetan plateau. Tibetan culture and life style is experienced firsthand with tours of some of the most prominent and historically important cities, and palaces, and Tsaparang fortress. The palaces toured on the trip include the former residence of the Dali Lama, Potala palace, and Norbulinka palace. An amazing collection of ancient monasteries are also visited including the Bon ruins, Drepung, Palcho, and Tashi Lhunpho monastery and many others. Most of the monasteries display amazing works of art that are representative of their time. Some date back to the 11th century and older. As the tour continues, more and more amazing areas are visited. Such areas include the cave cities. Some of the caves serve as isolation rooms for monks to meditate in silence. Other caves have never been explored. Still in some of the caves exists murals painted in the 10th century. The tour then turns into a trek that leads through the landscape gaining exquisite views of the mountains, a sacred lake, monasteries, and caves. The trek ends 3 days later and a rest day is taken at Thugje Zinbu (Lake of Compassion). After the rest day the tour moves back to Lhasa to conclude the trip.